This past week we learned that New York Ranger backup goalie, Antti Raanta, is reportedly on the market, according to the New York Post. He is one of the cheaper backups in the league with a cap hit of $1 million for next season. He also proved this past year that he can get a serious look at becoming a starter. The Rangers have groomed backup goalies in the past such as Cam Talbot and he’s now is the No. 1 goaltender for the Edmonton Oilers. One team that is reportedly interested in Raanta is the Winnipeg Jets. The Jets compiled some of the worst goalie statistics in the league this past season. They were 28 out of 30 teams with a .900 save percentage and 27 out of 30 with a 3.11 goals-against average. Both of the Jets goalies were awful this year and the club has to make an upgrade. Maybe Raanta will end up there? This could be a very intriguing deal. The deal depends on how badly the Jets are looking for solid goaltending. Based on the numbers from last season, it might be the right idea for the Jets. 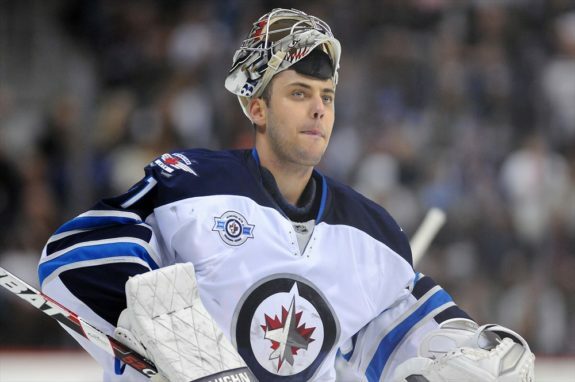 The Jets have Eric Comrie, who is a very highly touted goalie prospect, putting up a 2.96 GAA and a .906 Sv% in 51 games with the Jets’ American Hockey League affiliate, the Manitoba Moose. Comrie is 21 years old, so the Jets have time for him to develop. 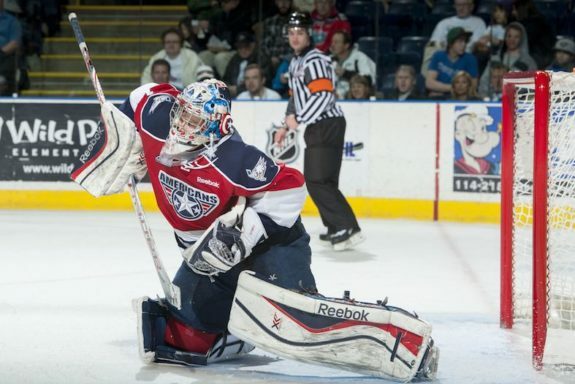 Ti-City Americans goaltender Eric Comrie is vying for the backup job with Team Canada and can help his cause with a stellar performance in the Super Series. In the meantime, the Jets need someone to fill the void until Comrie or Connor Hellebuyck, their current goalie, are fully ready for the job. Long time Jet goalie, Ondrej Pavelec, was not the answer this year in net. Raanta has proved that he can take on the role of starter in the NHL. He had great numbers this year with a 2.26 GAA and a .922 Sv% in 30 games. Those are numbers the Jets would love to have. But if this deal is going to happen and the Rangers want to get a solid return, something else besides Raanta will have to go with him. Maybe a prospect but in this case, since the Jets have a lot of solid prospects, they could want a pick in return. The Rangers only have five picks in this year’s draft but they do have their first-round pick. The Rangers have not picked in the first round since 2012 but if you are going to make a move, this draft class is weaker than previous classes, so it could be possible that they would trade their first-round pick with Raanta. It’s certainly a large price to pay but if you look at what the potential return could be, it will all be worth it. If the Rangers give up Raanta and an asset in a trade to the Jets, there needs to be a goalie coming back to fill the Rangers backup position. That is easier said than done with the expansion draft around the corner. In any case, the goalie coming back would be Michael Hutchinson. Last season, Hutchinson did not live up to expectations with a 2.92 GAA and a .903 SV% in 28 games. This can be something Ranger’s goaltending coach Benoit Allaire can work on. Allaire got Talbot and Raanta to the stages they are now, so this would be another project for him. Hutchinson has the potential to be a solid backup. 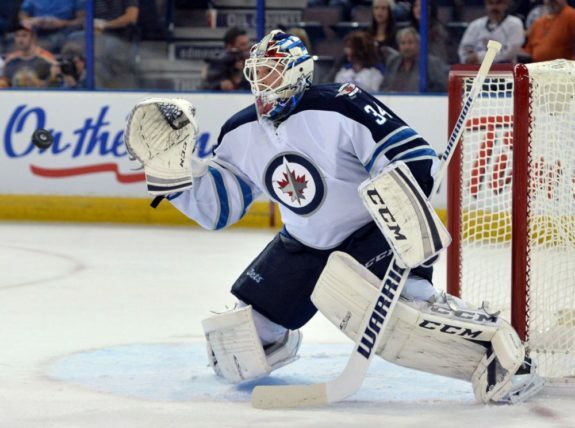 His first year with the Jets proves it with his numbers: a GAA of 2.39 and a Sv% of .914. Allaire has done it before and he can do it again. Hutchinson has a little more of a cap hit than Raanta but only by $150,000. And if Hutchinson does not work out, he is an unresricted free agent at the end of next year, so it does not hurt them on the books in the long term. The other part that could come back in this deal, depending on how much the Rangers give up, would be Jacob Trouba. This 23-year-old has one more year left on his bridge deal at $2.8 million for next year. He is a right-handed shot and is a smooth skating player that can really shoot and he is willing to go to the dirty areas. Last summer, Trouba made a trade request before he had a change of heart and signed a bridge deal. Now he says, he wants to stay with the Jets but with Tyler Myers coming back from injury, it may be difficult to meet Trouba’s demands to stay on the right side and be in the top 4 defense on the team. 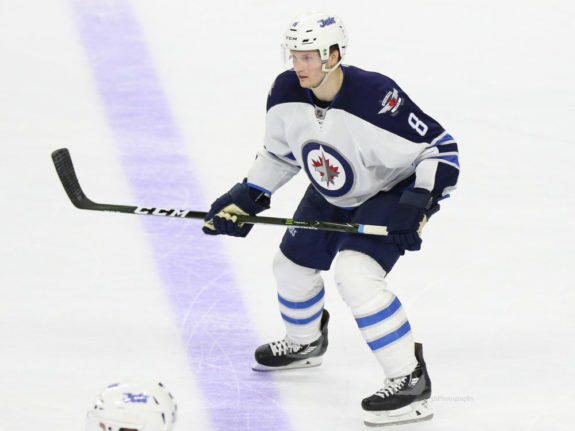 It’s possible that this could be what causes Trouba not to work out long term with the Jets. He is an RFA at the end of the year and he is a perfect fit to help this Rangers defense core. This is the real return of the trade. 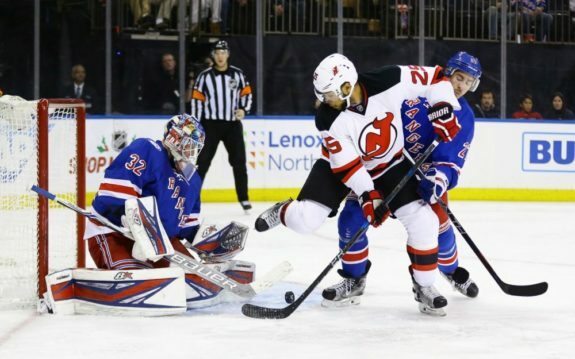 Henrik Lundqvist can take the load of starts but the defense needs to be upgraded. Selling your stud backup goalie to upgrade your defense core is a win-win for the Rangers. The Jets would get their goalie that can come in and win games for them now, while they wait for their prospects to mature. While this is a hypothetical deal, the fact remains that the Jets contacted the Rangers about Raanta. They want a starting goalie. They had issues with Trouba wanting out of the city of Winnipeg. Just based on those facts, this deal surrounding these two players can actually happen and it can be an even trade for both teams. The only problem with this hypothetical deal is the expansion draft. The Las Vegas Golden Knights may have plans to include Raanta by taking him in the expansion draft. If they do not take Raanta, this deal has a big chance of getting done. Besides, I would love to see Trouba at the world’s most famous arena paired off with Ryan McDonagh or the young stud Brady Skjei. Now I can only hope for it to happen.